With the 2018 coing to an end the workshop is still full to overflowing, following on from 2017 (another year of success at all levels from club racing to TT & EWC) we have again been preparing bikes for all levels from Track day riders through to full-on British Superbikes. ECU Programming/ Reflashing is the latest big step forward in bike tuning, some have jumped on the bandwagon in the last couple of years but we have been doing it for 10 years and are at the forfront of this exiting technology in the UK, we have spent hundreds of dyno hours developing impoved maps for awide range of manfacturers & models - check out ECU Tuning. 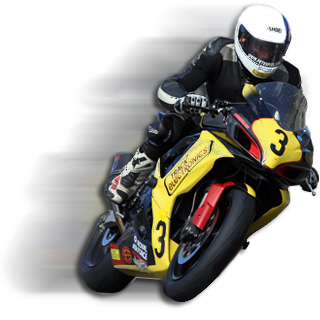 Our Supertwin project has now run its course and has been sold and should be terrorosing race tracks in Scotland, a Manx Grand Prix win in 2013 & a top 5 at the TT we proved that you dont need to spend a fortune to get results. Read about the bike including technical specs & download logging from our MGP on the Supertwin page. On the car front we've just completed the electrical install on 2 Firman Cars RFR1000's with ZX10R engines, as well as the occasional Jedi and an Empire Wraith using a GSXR1000 L13 engine with a DTA S80 ECU running Traction and Launch Control. Based 30 minutes from Snetterton on the outskirts of Norwich, Track Electronics specialise in Superbike Engine Management and Fuel Injection Set-Up, offering expert advice to bike owners or anyone using a bike engine in any application from a standard road bike to single seat race and kit cars. Using our Dynapro Full Load Control Dyno we offer expert Fuel Injection/Carb & Ignition Set-Up, this machine is also the ultimate tool for diagnosing electrical problems, being able to hold the machine at any RPM/Speed and Throttle Position. Bike & Sidecar Dyno - Fuel Injection/Carb & Ignition Set-Up. Manufacture Road & Race Harnesses for bikes & bike engined cars. Unparalled Electrical Fault Diagnosis including Fuel Injection. Bypass manufacturer and aftermarket security systems. Cat 1 & 2 Alarm fitting & removal. One-off harnesses for whatever project you put a bike engine into.